Torrential rains began bombarding the southern part of Louisiana last Thursday in what Gov. John Bel Edwards called a "truly historic" weather event, according to CNN. At least 20,000 water rescues occurred over the weekend as flood waters swept through. 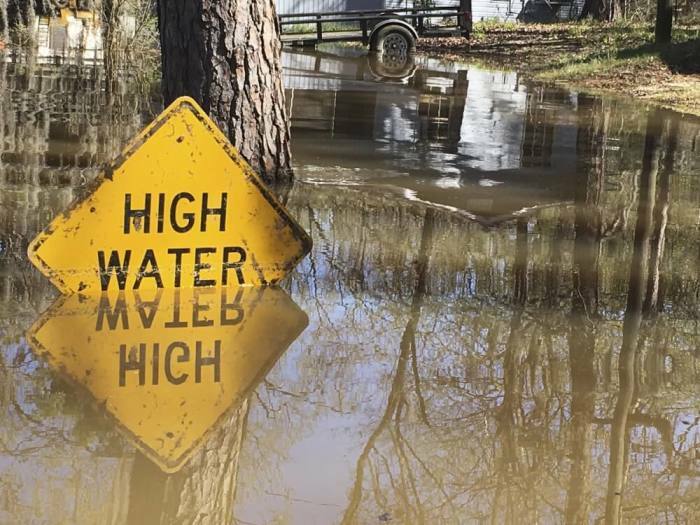 A report from The Weather Channel indicated that flooding in the Magnolia State was powered by a weather system similar to an inland tropical depression. Parts of Louisiana saw more rain than some U.S. cities have in the last few years combined. In response, some local churches like the First United Methodist Church in Denham Springs joined in helping victims of the flood. The UMC church, which in the past has survived its share of natural disasters — including a flood and two fires — became designated as a local Red Cross shelter in 2014 and was poised to respond to the state's most recent disaster. "Now, it's our time to pay it forward," the Rev. Jacqueline King told the Louisiana Conference. "After the church [First United Methodist Church] was rebuilt in 2011, our church quickly did the work to position itself as a disaster relief center as a way to pay it forward. In the fall of 2014, we arranged to become a local Red Cross shelter." Last Friday the Red Cross declared that the church would be a relief and staging area, and not long thereafter flood victims began to arrive. King added that many of her parishioners are dealing with their own flood-related issues.
" ... They've risen from those challenges to help. I couldn't be more proud. It is difficult and challenging but so incredibly rewarding to be the hands and feet of Christ." The Christian Post contacted First United Methodist Church in Denham Springs for an update on their disaster relief efforts but did not receive a response before press time. Other churches are also acting as Red Cross shelters, including First Baptist Church and Galilee Baptist Church in Zachary, Vineyard Church of Baton Rouge and Zoar Baptist Church. According to KPEL several churches in flood affected areas canceled their services last Saturday and Sunday, including the following churches in Lafayette: Crossroads Church, Faith Lutheran Church, Church of Jesus Christ of Latter-day Saints, and First Presbyterian Church. Other places of worship like Deerford United Methodist in Zachary sandbagged their church against flood waters, but to no avail. The church's leader the Rev. Susie Thomas said, "It's a gem of a church with a dedicated congregation — we will be back!"